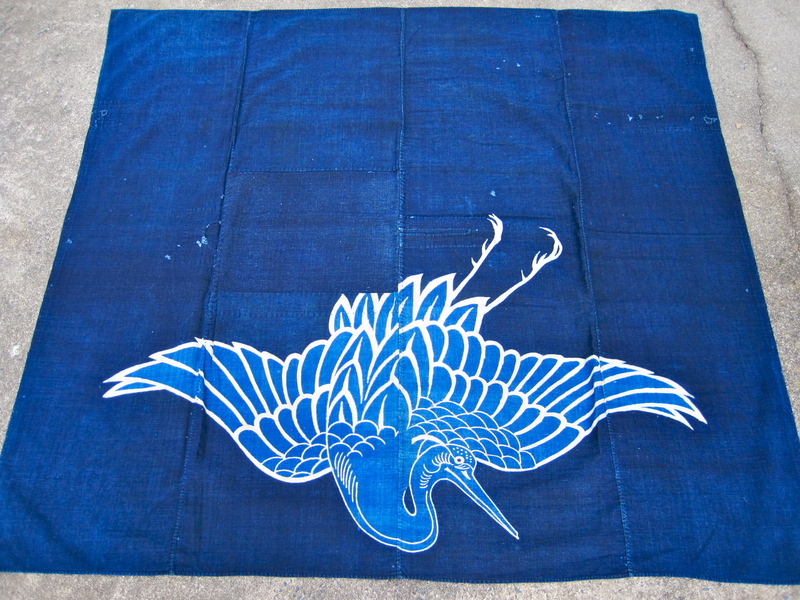 This furoshiki or “carrying cloth” dates to the Meiji period and was made from hand spun and hand woven cotton fabric. 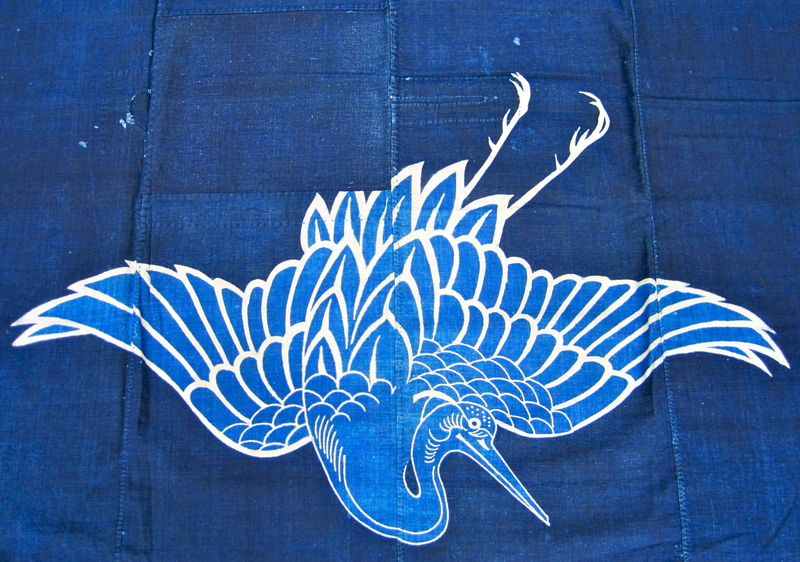 The crane was expertly dyed using natural indigo. 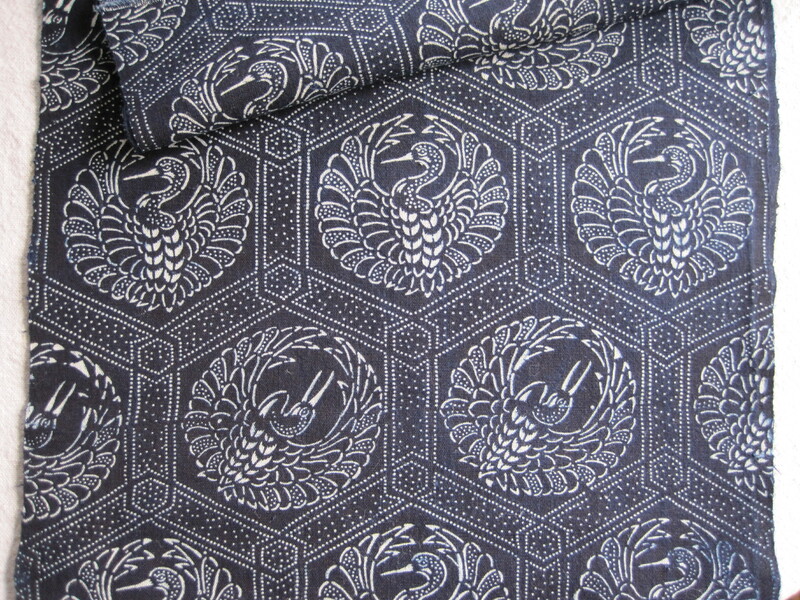 This type of decoration is known as tsutsugaki it was created by a dyer who used a paper cone or “tsutsu”. 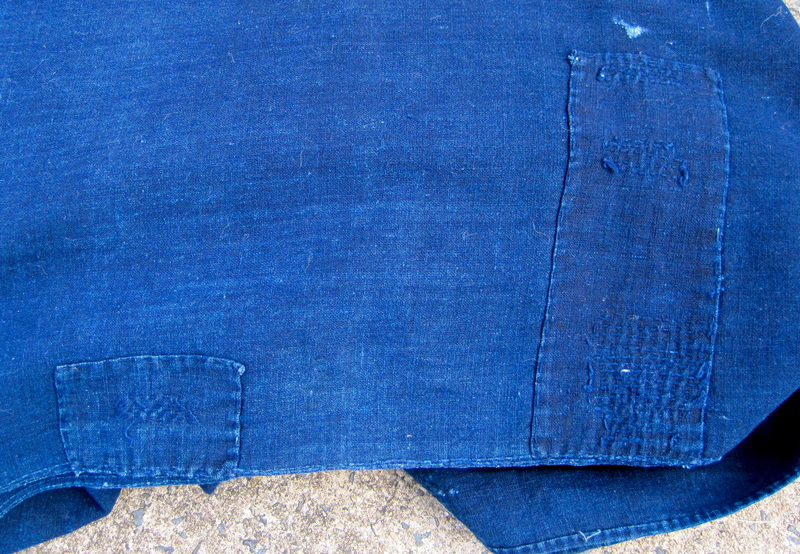 The tsutsu was used to apply a mixture of ground rice bran, rice flour, salt, and water onto the fabric to create a resist. This resist was washed away after dying to reveal the design. 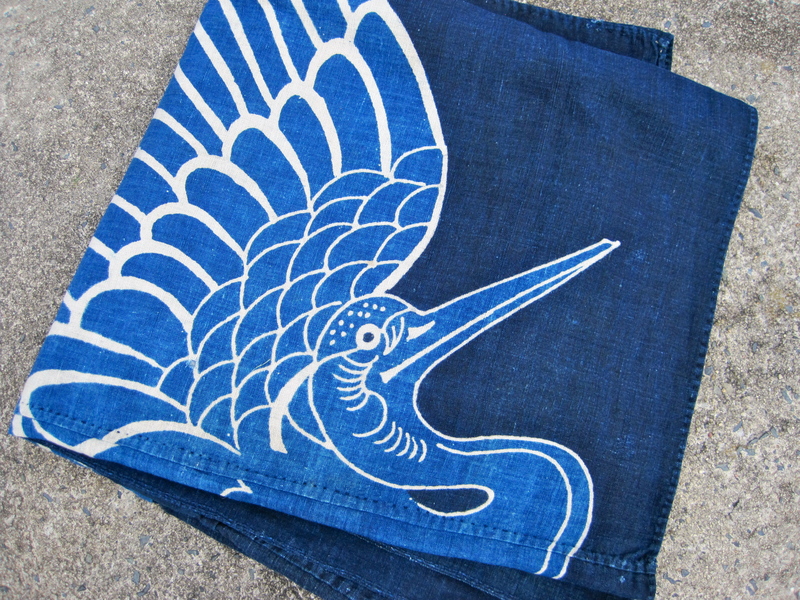 It must have taken several applications of rice paste and many dips in the indigo dye bath to create the colors in this furoshiki. 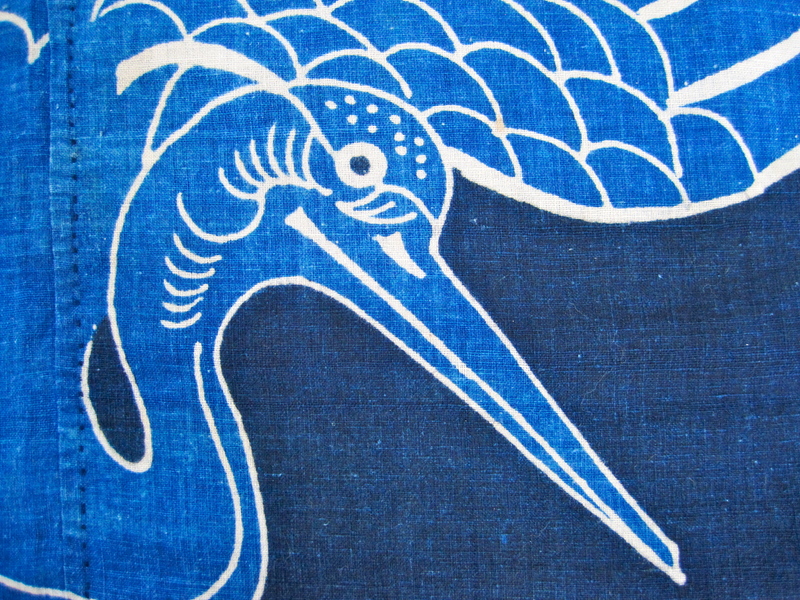 This furoshiki may have started its life as a futonji or “padded futon cover”. 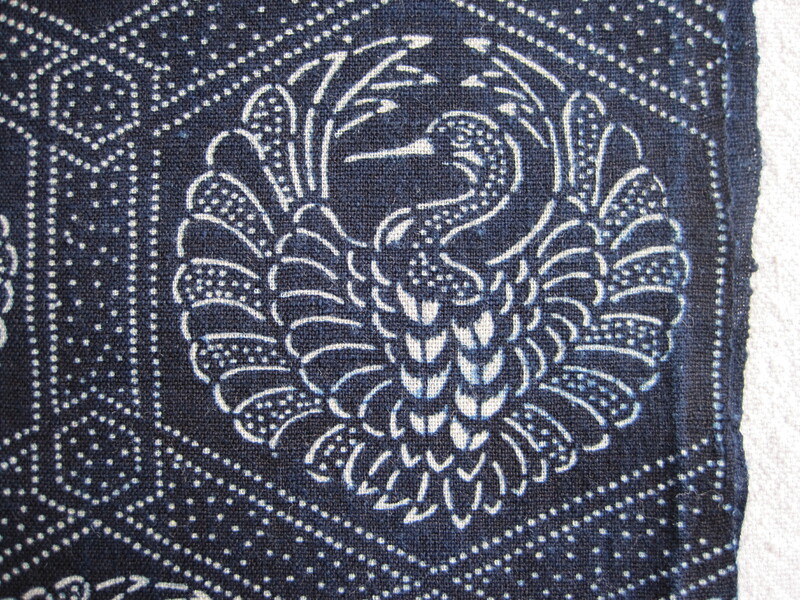 The symbolism of the crane was one often used on items made to be given to a bride and groom as a wedding gift. It has several large repairs that attest its use over the years. 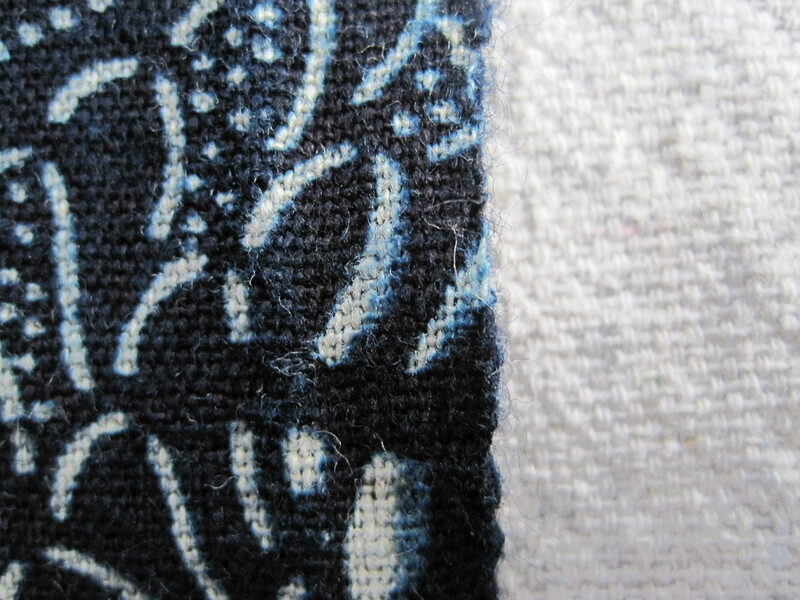 The repairs have all been mended using hand spun and hand woven cotton. 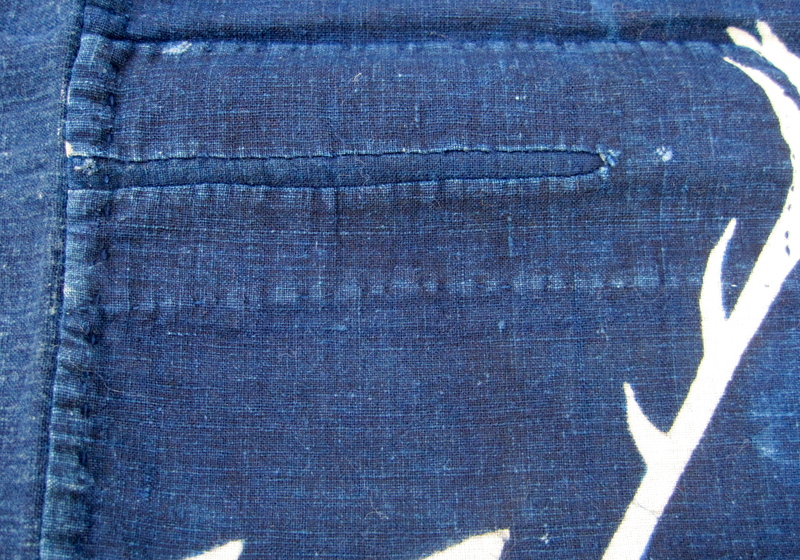 The large patch in the middle of the furoshiki is made of very thick course homespun.